Jordan's diverse socioeconomic make-up encapsulates, like no other Middle Eastern state, both the array of pressing short-term problems facing the region, and the underlying challenges that Arab states will need to face once the current spate of civil conflicts is over: meaningful youth employment, female participation in politics, and integration of refugees into society. This book tells the story of Jordan through the lives of ordinary people, including a political cartoonist, a Syrian refugee, a Jihadist and a female parliamentarian. The raw voices and everyday struggles of these people shine a fresh light on the politics, religion, and society of a culture coming to terms with the harsh reality of modernization and urbanization at a time of regional upheaval. With her deep knowledge of Jordan's landscape, language and culture, Rana Sweis sketches an intimate portrait of the intricacies and complexities of life in the Middle East. Rather than focusing on how individuals are affected by events in the region, she reveals a cast of characters shaping their own lives and times. 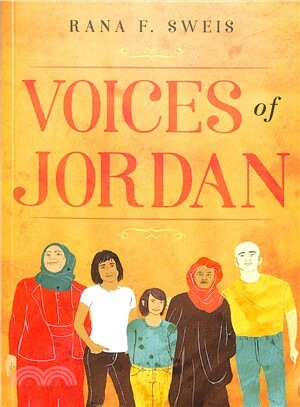 Voices of Jordan shares those stories in all of their rich detail, offering a living, breathing social and political history. Rana F. Sweis is a Jordanian journalist covering political, social and refugee issues in the Middle East, most often for the New York Times. She is also the founder and managing director of Wishbox Media, a provider of media training, research services and creative storytelling packages. She holds an MA from George Washington University's Graduate School of Political Management.